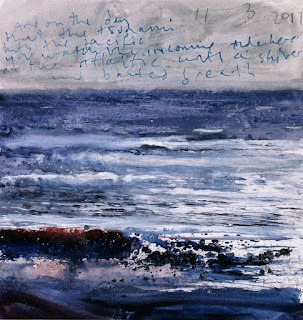 Kurt Jackson is a British painter, born in 1961, whose works consists of various mixed mediums and reflects a concern for natural history, ecology, and the environment. Critics sometimes describe Jackson as they sweet spot between modern and traditionalist. Much of his inspiration draws from Cornish landscape and his extensive travels around the world. Jackson makes it a point draw everyday, resulting in sketchbooks that are both raw and rich. He never travels without pens, pencils, paints, and a sketchbook. He even makes sure that he books train rides that include a table so he can draw in transit. Jackson views he sketchbook as visual diary of his life, often fully documenting his sketches with not only date, but also time, location, and notes I chose the sketch above because it shows the incredible details he puts into his sketches and illustrates his love for Cornish landscape. 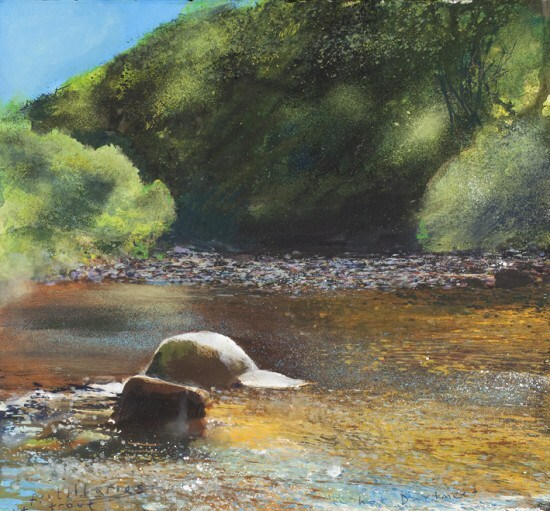 As an activist in the environmental community, Kurt Jackson has been a longtime supporter of Greenpeace, donating 29 pieces in a recent auction to the organization, including the one pictured above. The piece is done with a very rough line use and mixture of many colors. The large masses of people and pirate flag depicted next to the pyramids seem to make commentary on the large tourism industry sprouting from ancient monuments. One of the reasons I chose this artist is for the strong political statements his works often make. Kurt Jackson says that he spends about half his time working outside. The painting above is from a series based off of the artist’s extensive exploration of the River Dart in Devon, England. He has followed various rivers from source to sea, including the Avot, Tamat, and Thames, covering the journey through sketches, paintings, and even words. I chose this painting in particular because I enjoyed his smoother use of lines than the previous two images and the context of this work in the collection. Livingston, Alan, and Kurt Jackson. 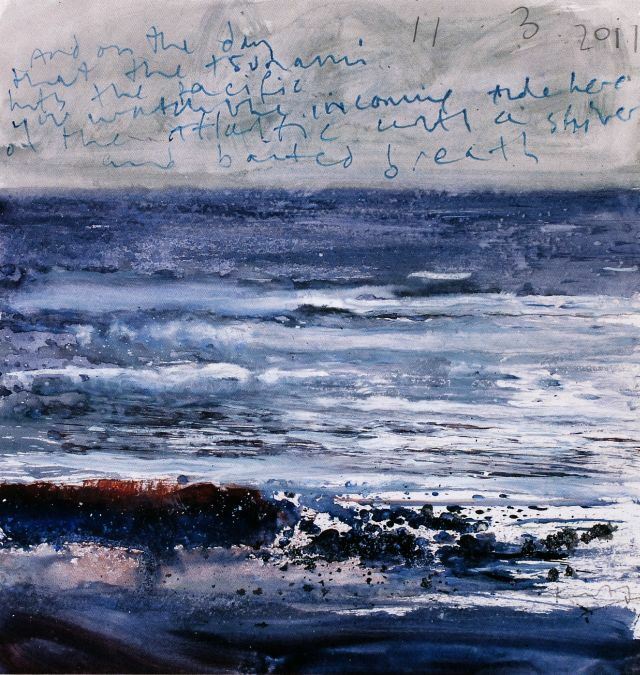 Kurt Jackson: Sketchbooks. 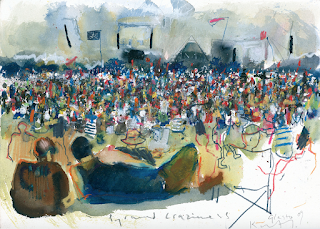 Farnham, Surrey: Lund Humphries, 2012. Print. Taylor, John Russell. Kurt Jackson: A New Genre of Landscape Painting. Farnham: Lund Humphries, 2010. Print.